UPDATE: SB I-5 just north of 10th Avenue, all lanes have reopened to traffic. SB I-5 just north of 10th Avenue, right lanes blocked due to a multi-vehicle collision. 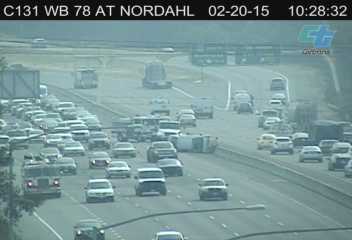 Update: Caltrans crews cleared the lanes on WB SR-78 just east of Nordahl Road. Update: All lanes clear on EB I-8 at I-805. 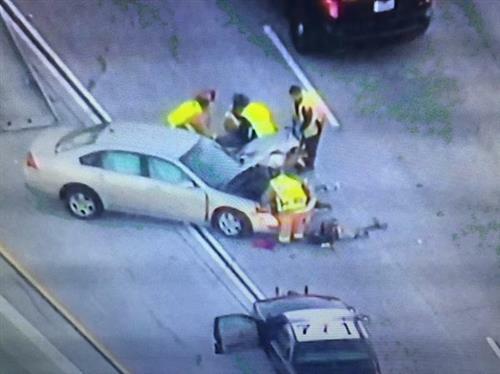 Two lanes blocked on EB I-8 at I-805 due to multi-vehcile traffic collision. Update: Caltrans crews reopened the on-ramp and lane on SB SR-163 at Robinson Ave.
Update; On-ramp open on NB I-805 at University Ave.
Three lanes blocked on SB SR-163 at Genesee Ave. due to traffic collision. One lane closed on NB SR-163 at I-5 due to fire. UPDATE: SB SR-125 all lanes are have reopened to traffic. UPDATE: NB SR-163 connector ramp to EB I-8 now open. The 2 right lanes SB SR-125 are closed due to a traffic collision. NB SR-163 connector ramp to EB I-8 closed due to a traffic collision. 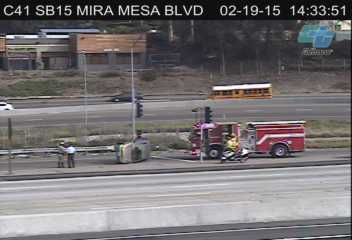 UPDATE: NB I-15 just south of Bernardo Center Drive all lanes have reopened to traffic. NB I-15 just south of Bernardo Center Drive all lanes closed due to traffic collision. 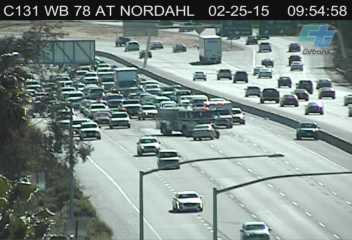 #SDTraffic I-5 NB south of La Costa backed up after a motorcyclist was hit by a car. 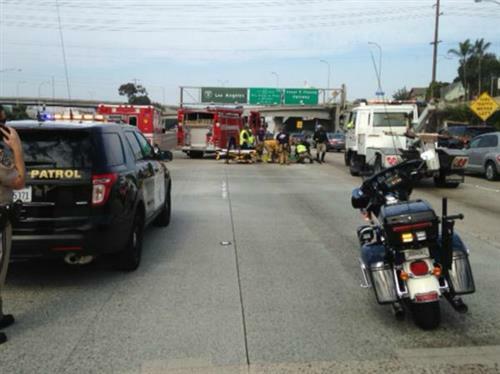 CHP reports the motorcyclist was splitting lanes. 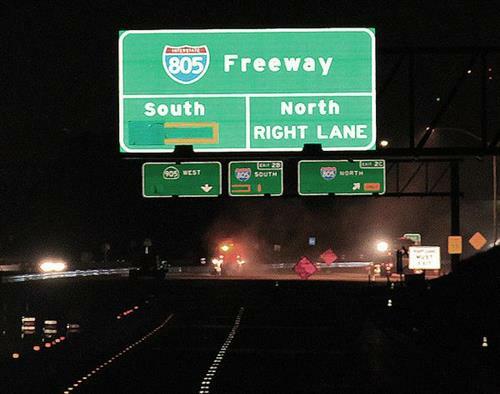 Update: Caltrans crews reopened EB I-8 at Texas St.
Construction will close SB I-805 from The Merge to Miramar Rd./La Jolla Village Dr. on Tues., Wed., Thurs. nights, 9:30-5. Detours in place. 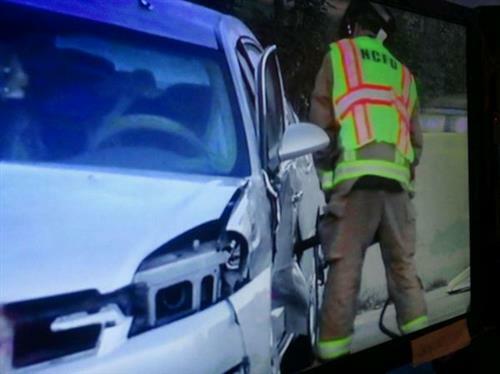 One lane blocked on EB I-8, west of Texas St. due to traffic collision. Update: Caltrans crews reopened SR-78 just west of I-15. 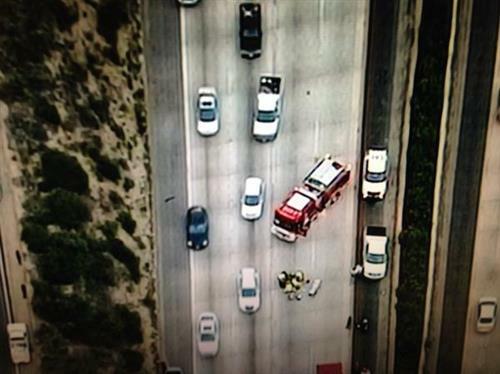 Update: One lane still closed on EB I-8 east of Inkopah Road. Construction on I-5 Ocean View Rehab Project, Aliso Creek to Orange County, continues nightly 2/23-2/28. More info: dot.ca.gov/dist11/infoedge. UPDATE: EB I-8 east of Inkopah Road, the right lane remains closed for clean up. UPDATE: NB I-805 just north of Telegraph Canyon Road all lanes have reopened to traffic. NB I-805 just north of Telegraph Canyon Road right lanes blocked due to a multi-vehicle traffic collision. TRAFFIC ALERT: Motorcyclist killed in collision with semi on I-15 northbound @ Rainbow Valley. Update: NB I-5 just south of Cesar Chavez Parkway has reopened. Three lanes closed on NB I-5 just south of Cesar Chavez Parkway due to police activity. Update: Caltrans crews reopened NB I-15 just north of Carroll Canyon Road. One lane blocked on NB I-15 just north of Carroll Canyon Road due to solo vehicle traffic collision.